The list below was mainly extracted from the Registers held at Lambeth Palace. Before 1282, the Registers are supposed to have been carried to Rome, and may still exist in the Vatican Archives. 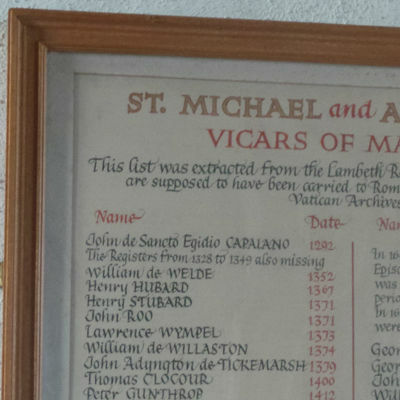 Certain names (marked with an asterisk*) come from other records, notably those of the Abbot & Convent of Lesnes. In 1660 both Monarchy and Episcopacy were restored.